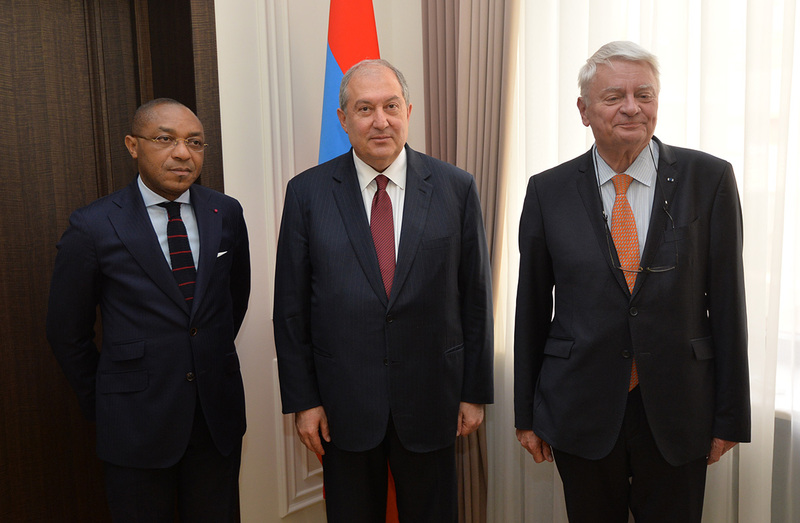 President Armen Sarkissian received today the Director of the Cabinet of the Secretary General of the International Organization of Francophonie (OIF) Mr. Louis Atangana Amougou and Special Counsellor of the Secretary General Hervé Ladsous. President Sarkissian underscored that the authorities attached great importance to conducting the Summit of the OIF at the highest possible level and assured that Armenia will fulfill its pledge with honor. He said that today all political processes have been moved to the National Assembly, a new government has been formed, and everything is proceeding as planned. “Armenia continues to implement preliminary works with the same determination,” the President of Armenia underscored. 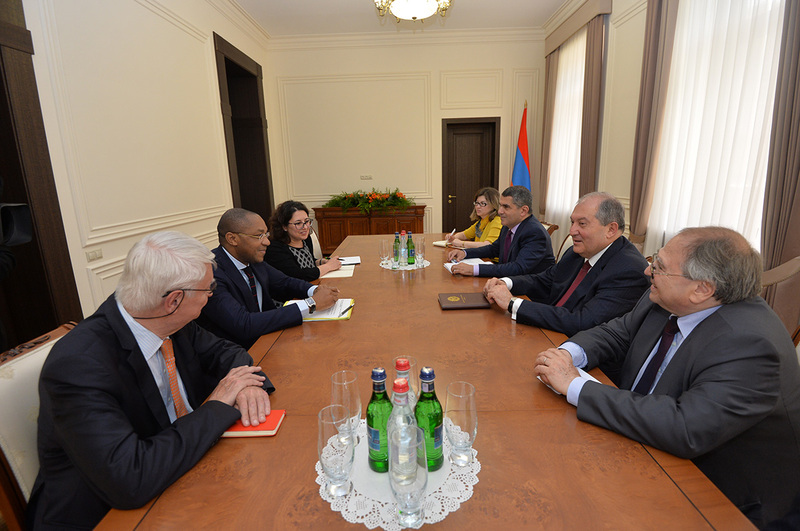 Expressing thanks for the warm welcome, Mr. Louis Atangana Amougou conveyed to President Sarkissian congratulations of the Secretary General of the OIF and good wishes on the occasion of his election as President of Armenia. 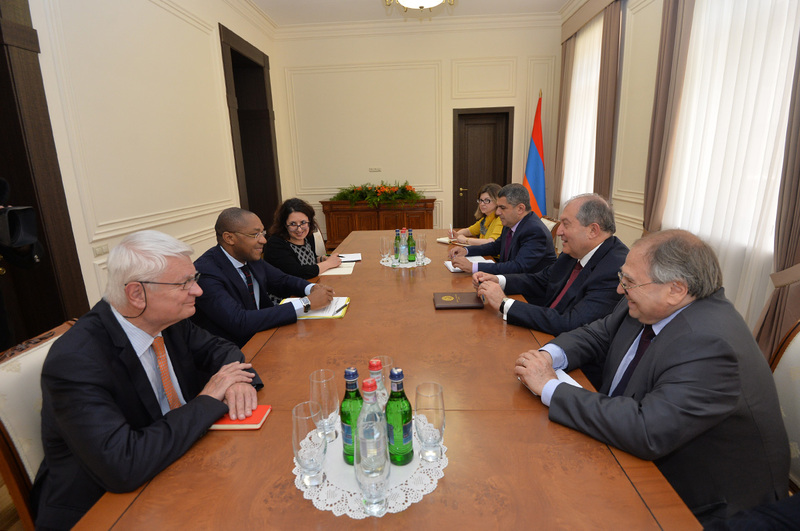 Speaking about the recent events in Armenia, the Director of the Cabinet of the Secretary General of the International Organization of Francophonie noted that democratic processes have been resolved in an excellent manner and stressed the role of the President in the process. He said that changes carried out in Armenia without violence and bloodshed could be exemplary for many countries, especially countries belonging to the realm of Francophonie.